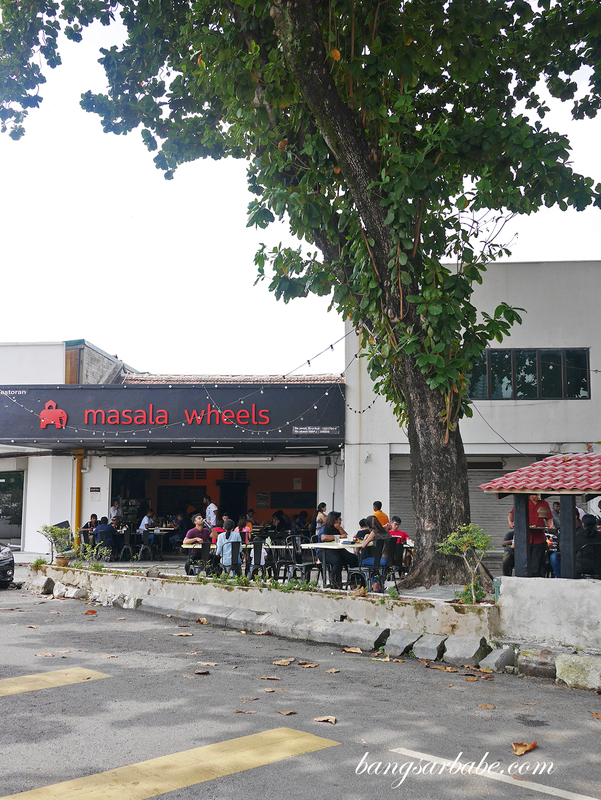 Masala Wheels was in my food radar just recently, when we drove past the restaurant after our lunch at my favourite banana leaf joint nearby. 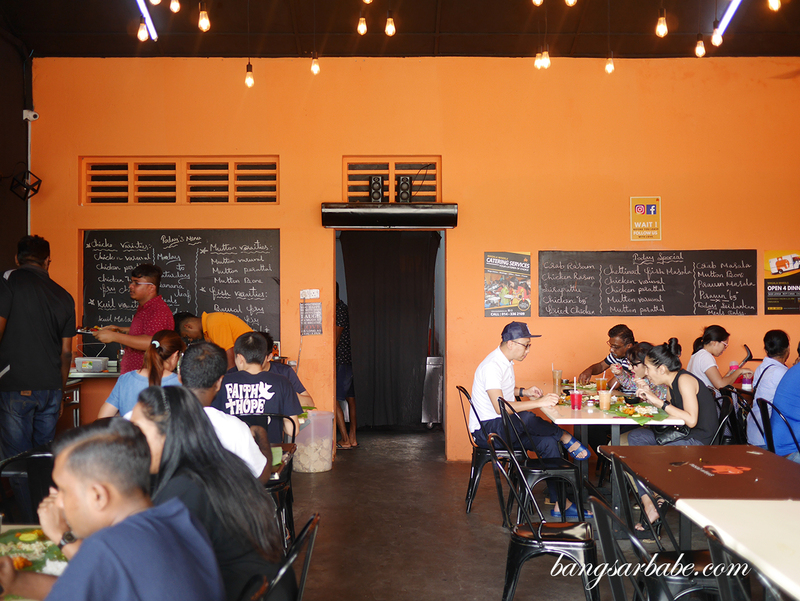 I spotted quite a number of people dining under the large tree across the restaurant, which prompted me to list the restaurant down in my to-try list. 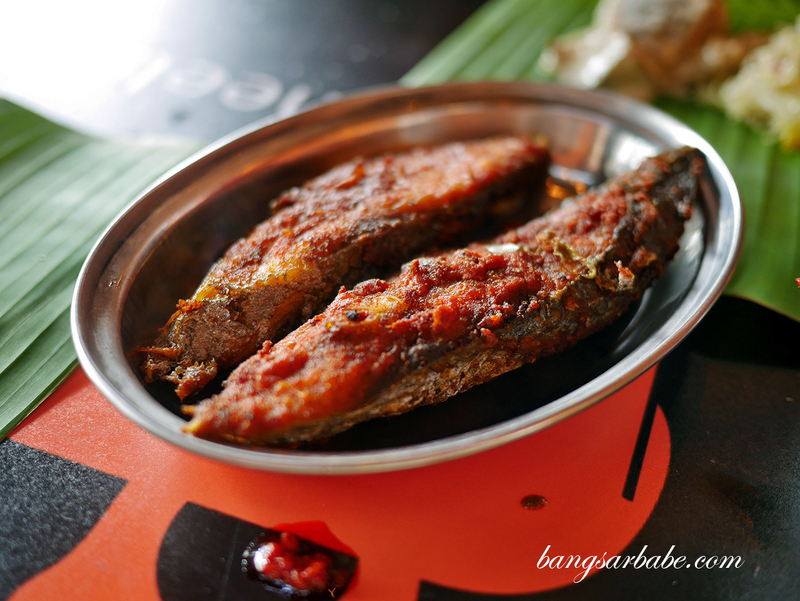 Jien and I went there the following Saturday with his father, to try their Sri Lankan style banana leaf rice. 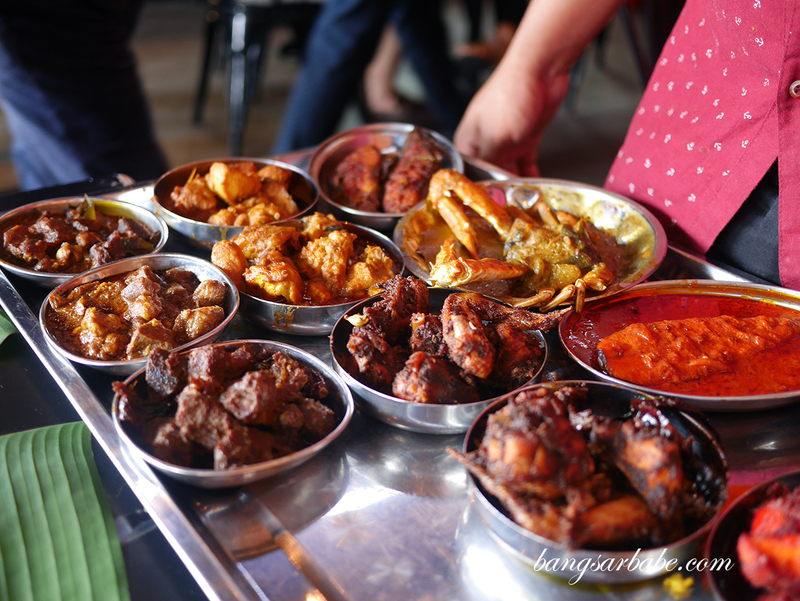 My understanding of Sri Lankan food is one that has subtler spices but still with flavour punches that awakens the tongue. 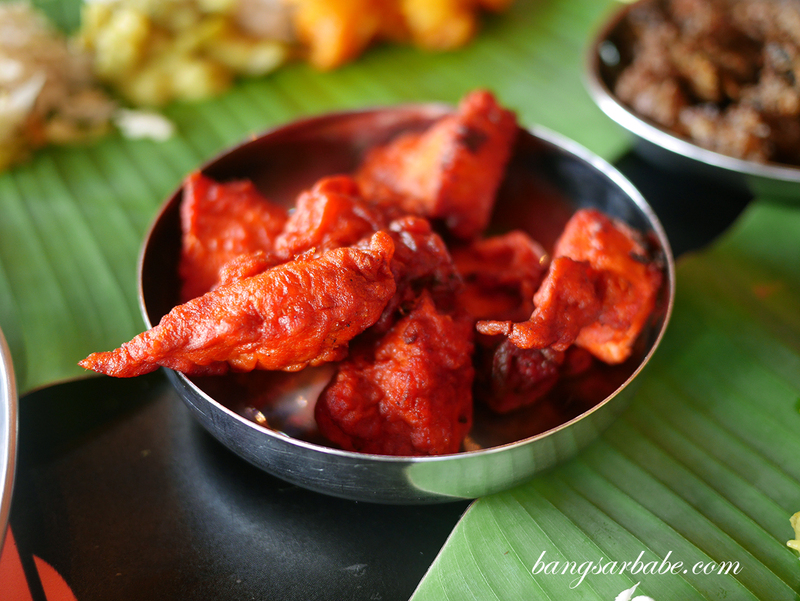 Unlike most banana leaf rice places I know, Masala Wheels serve their side dishes as a pass around – similar to what you see at dim sum restaurants where the waiter comes to your table with small plates of food on a tray. While this allows me to see what’s available, the food is served at room temperature, which takes away half the enjoyment. 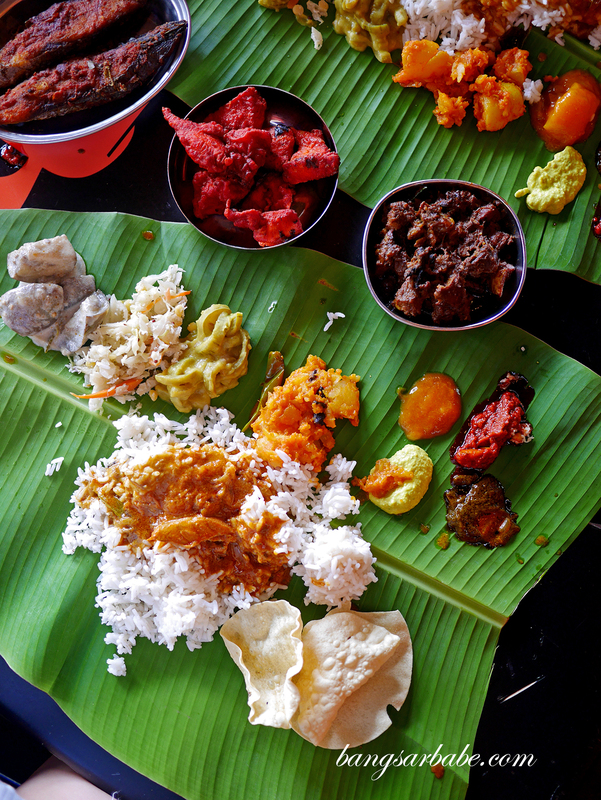 We opted for the fried tenggiri, chicken 65 and mutton varuval to go with our banana leaf rice meal, plus a crab rasam (RM10) because I read rave reviews about it. 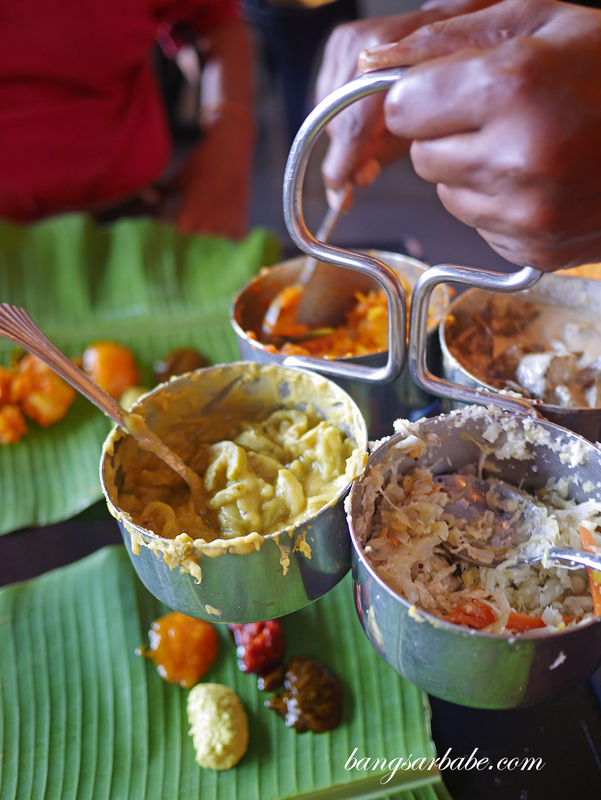 Masala Wheels’ condiments are quite good – especially the bottle gourd chutney which is my favourite of the lot. 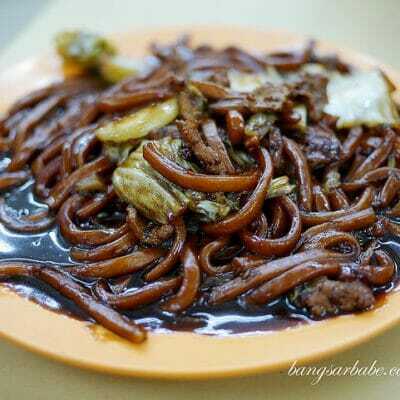 Creamy yet fiery and delicious with rice. 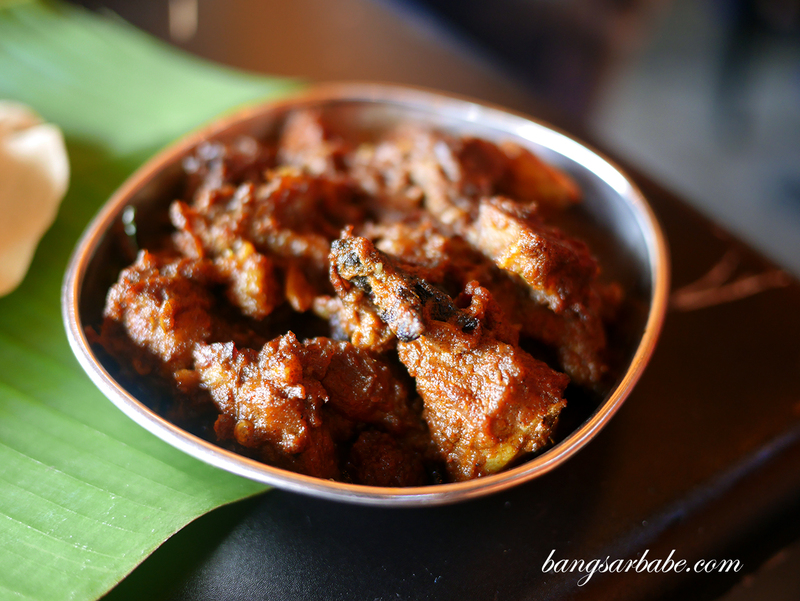 The pickled garlic (poondu thukku) is also delicious. I enjoyed the pickle and chutney more than I did their vegetable side dishes. 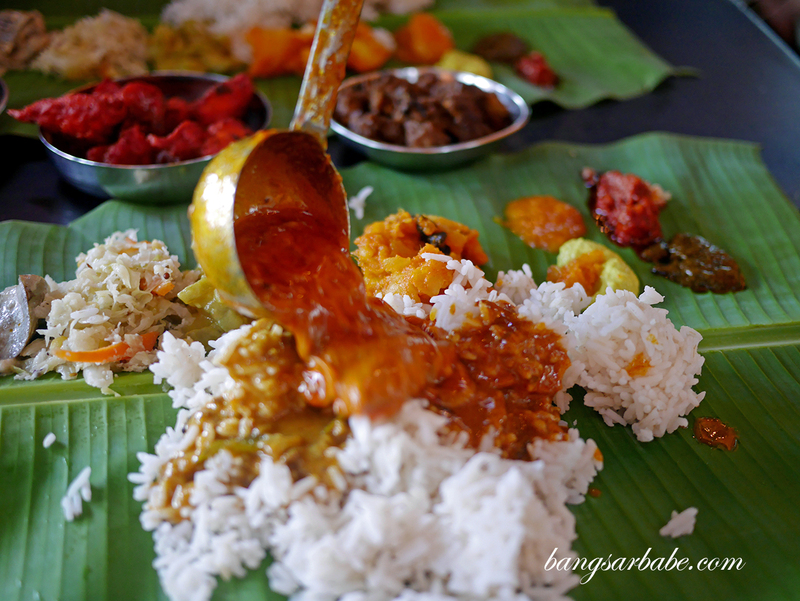 You get a choice of chicken curry, fish curry and dhal to go with the banana leaf rice – spicy in their own way but for some reason, I feel there wasn’t enough “oomph” when eaten with white rice. 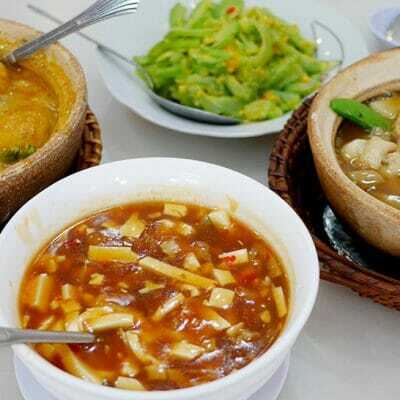 As the fried fish (RM5) and chicken 65 (RM7) were served at room temperature, I found these slightly disappointing as the heat would have done the dishes more justice. 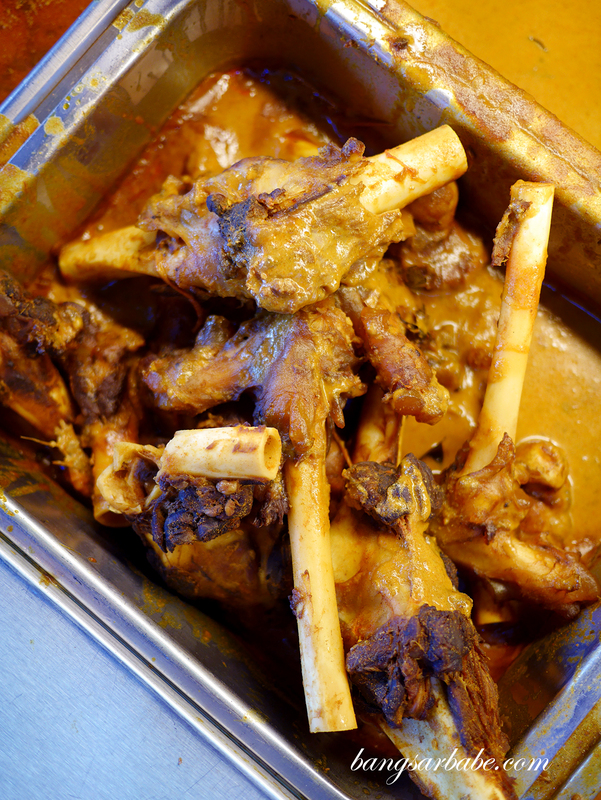 That said, the mutton varuval (RM7 – small) was good stuff. 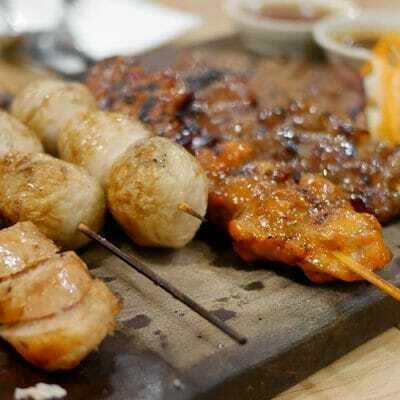 Possibly one of the best I’ve eaten as the spices are robust and the meat was tender and nicely seasoned. 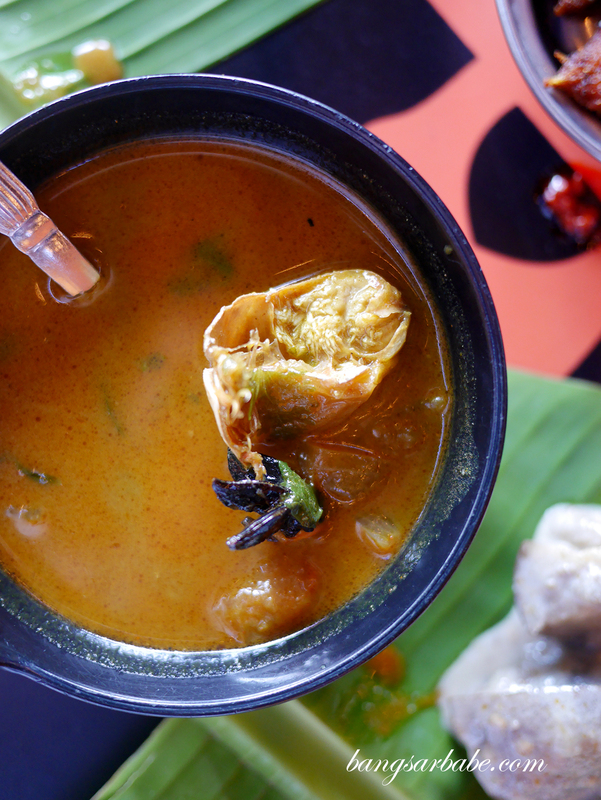 I also like the crab rasam, which is thicker than your regular rasam and flavour packed from the spices. 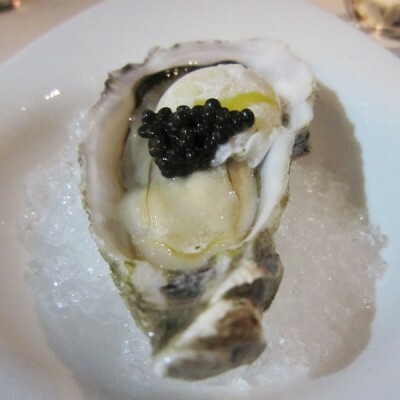 There’s a certain creaminess which I like, as it balances the dominance of the spices nicely. Overall, I find the banana leaf rice decent though I’m not entirely excited about their lukewarm fried items. 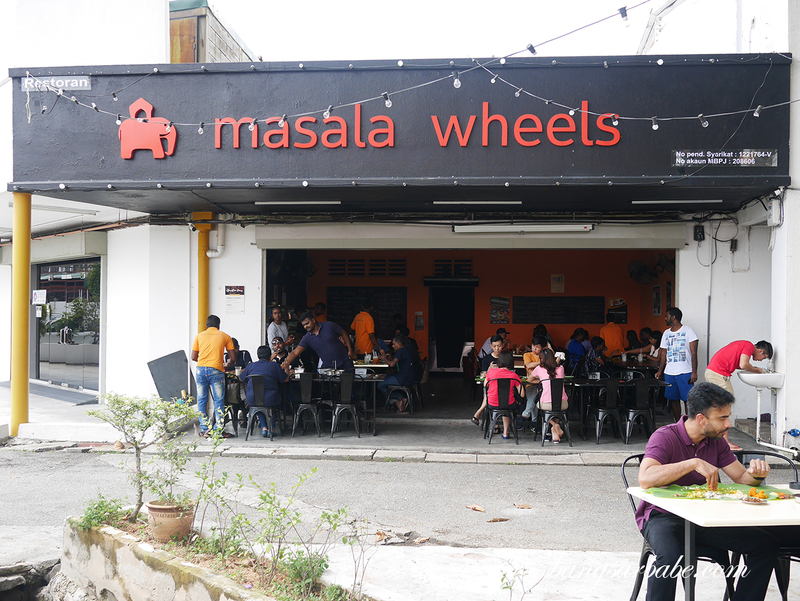 Masala Wheels serves briyani only on Sundays, so we’ll go again try that next round. Verdict: Try the mutton varuval and crab rasam.